EUR 10 million have been provided by the EU to support a comprehensive reform of Ukrainian justice. Two new projects presented in Ukraine’s Justice Minister on October, 11, will use these funds to assist Ukraine in aligning its justice system with the EU standards. Launching the projects now, when EU and Ukraine are moving towards the eventual signature of the Association Agreement, has key importance. During this period, reforms of the Ukrainian justice, judiciary or law enforcement are high on the agenda. “If you want to go for a free trade arrangement with the EU, the biggest market place in the world, you need to have a legal system that supports investment and trade,” says Michael Koehler, Director at the Directorate “Neighbourhood” of the European Commission’s DG EuropeAid. He reminded that the justice sector has been a priority during recent years of the EU-Ukraine cooperation, and the Union has so far mobilized EUR 11,5 million for cooperation in this field. The new project, “Support to Justice Sector Reforms in Ukraine” (EUR 8.6 million) informally called a “Super-Twinning” initiative, will aim at comprehensive alignment of the Ukrainian justice sphere with the EU best practices. Implemented by a consortium Justice Coopération Internationale (JCI) it will facilitate Ukraine’s cooperation with EU experts from relevant ministries of several EU member states: France, Germany, Poland and Lithuania, says Karima Zouaoui, JCI’s General Director. 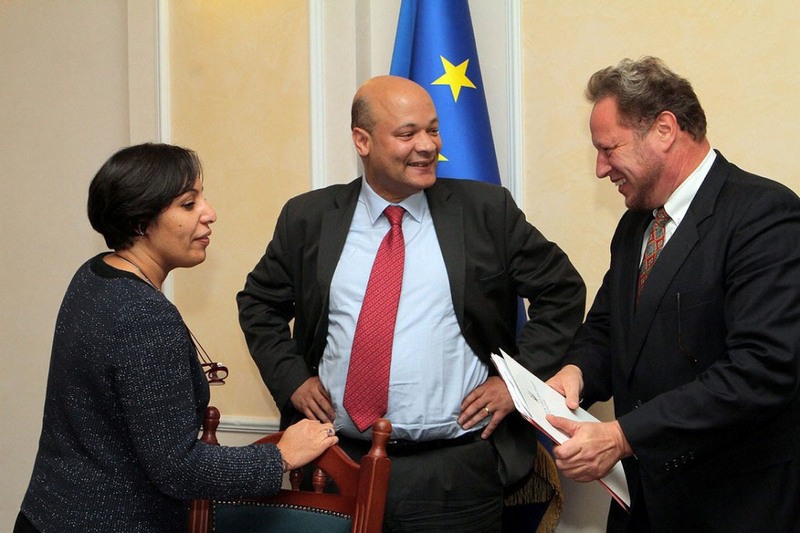 The initiative will focus on five key policy and institutional areas, in which the EU expects Ukraine’s progress. It will aim at facilitating access to justice and rights to defense and will assist police reform and prosecution reform, says Antoine Kuruneri-Millet, Project Team Leader. The project will also aim at enhancing independence of the judiciary and strengthening fight against corruption. After four months of the so-called “inception period”, when the initiative will analyze the key challenges in the field, it intends to come up with more specific action plan in all five fields, he adds. Maskym Rayko, Ukraine’s Assistant Justice Minister, specifies that under this initiative the Ministry intends to develop free-of-charge legal assistance to Ukrainian citizens. It also wants to reform the penitentiary system and enhance anti-corruption legislation. Another task is to make sure that the rulings of the European Court of Human Rights (ECHR) are immediately applied in Ukraine, and to reduce the number of appeals to the ECHR, he says. “Cooperation doesn’t mean that one side takes over the responsibility of the other side,” remarks Michael Koehler, adding that the EU can only help Ukraine having full respect to its national sovereignty. “We don’t ask Ukraine to be more angels than we are,” Koehler says. “A long way is still to go, but we have already seen progress over past two or three years,” he concludes. The project “Support to Justice Sector Reforms in Ukraine” (EUR 8.6M, “super twinning”) is to start in October 2013. The project foresees direct involvement of EU Member states, is scheduled to start by the end of 2013 and will continue approximately 3.5 years. The project will bring together at the discussion table all sector stakeholders in order to assist them with the development of the joint sector-wide reform strategy. The strategy will be implemented through a robust sector coordination mechanism and will hinge on a tight implementation schedule backed by a multi-year financial commitment from the Ukrainian Government. The “super-twinning” will be implemented alongside a smaller scale project by the Council of Europe (EUR 1M) co-funded by the EU and CoE with the objective of carrying out “standard setting” and monitoring progress of sector reforms. A CoE identification mission is to present their final proposal by end-October 2013. 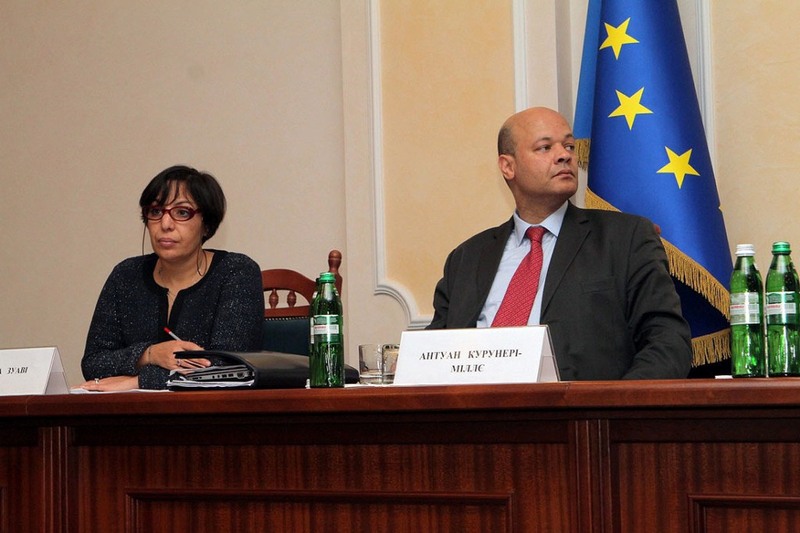 2010-12 alone, the EU assistance to Ukraine’ justice sector reforms totaled EUR 11.5M.